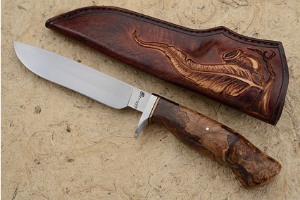 Bruce Barnett is a Western Australian knifemaker living in the hills of Perth. 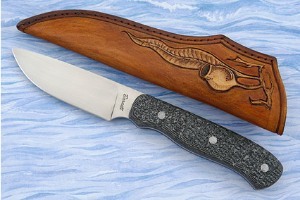 He moved to Western Australia from King Island in 1981, where knives were an everyday part of life. 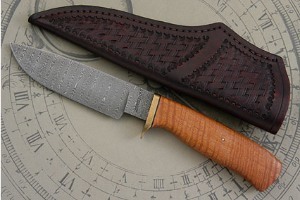 However, it was not until he had a custom hand crafted bowie knife and sheath donated to his drag racing fund raising efforts by Perth-based knifemaker Max Harvey that he became interested in custom knifemaking. 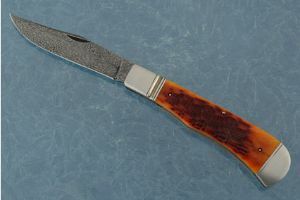 Ten years after this knife donation, Bruce found himself no longer able to race due to the side effects of two broken vertebrae in his neck from a racing crash. 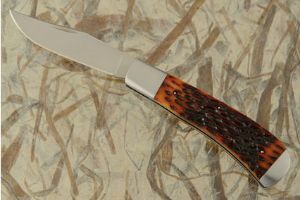 It was at this point that he decided to try his hand at knifemaking, beginning by spending a day with Albany-based kniefmaker David Brodziak. 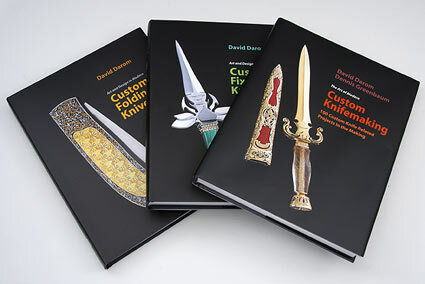 Dave was very generous with sharing his knowledge, and Bruce credits Dave with getting him started in the industry. 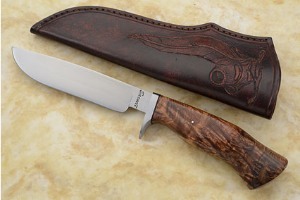 Bruce also spent some time learning with NSW based Keith Fludder. 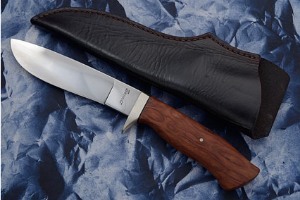 These days, Bruce likes to travel to the US every year to further his knifemaking education and has taken classes with Mastersmiths Ed Caffrey and Bruce Bump. 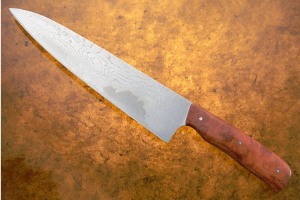 Barnett caught the forging bug and plans to test for his journeyman smith credentials. 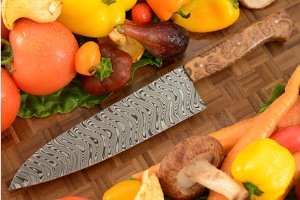 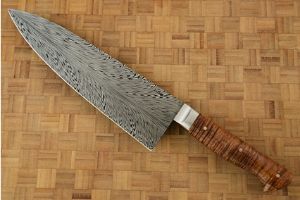 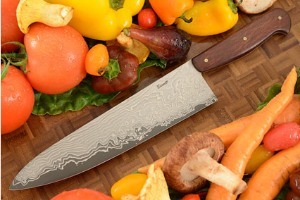 He forges carbon steel and creates his own damascus. 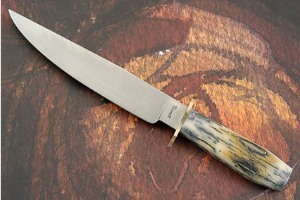 He enjoys forging and time spent with the US knifemaking community. 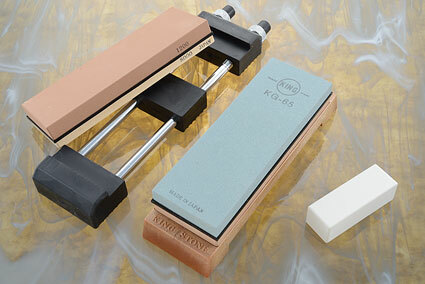 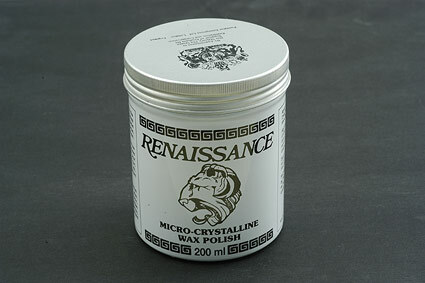 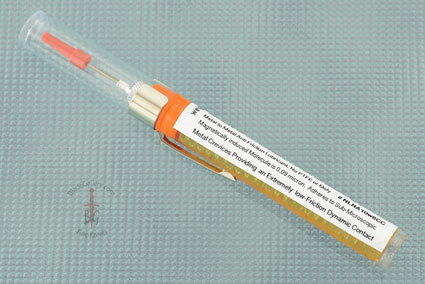 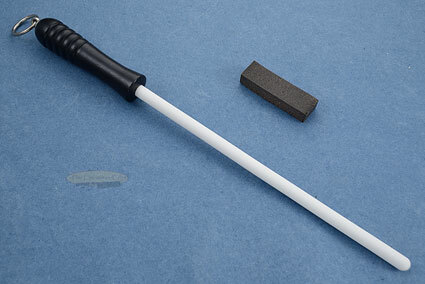 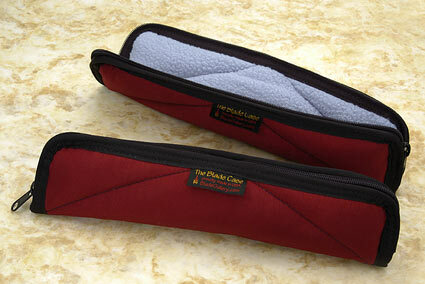 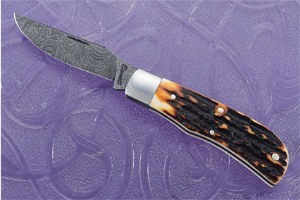 He has spent a considerable time working with Mastersmith Bill Burke. 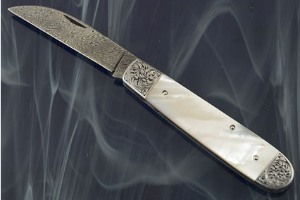 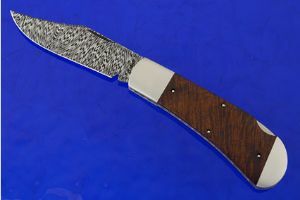 He attends the Blade Show in Atlanta and the Rocky Mountain Knife Show in Boise, as well as three Australian knife shows – the Australian Knifemakers Guild Show in Melbourne, Victoria, the Adelaide Custom Knife show in Adelaide, South Australia, and the WAAAS Military Fair in Cannington, Western Australia. 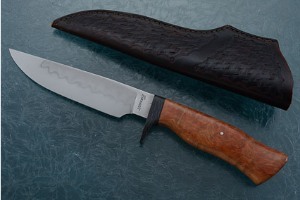 Bruce is currently a part-time maker “…with a mortgage, unfortunately…” and makes approximately 40 knives per year. 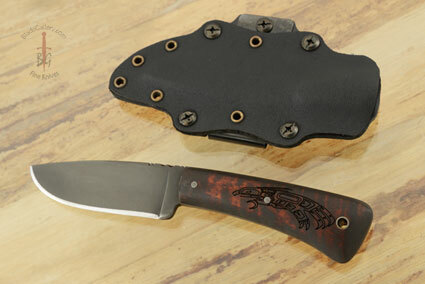 When not making knives, Bruce works as a maintenance manager for a contract mining company. 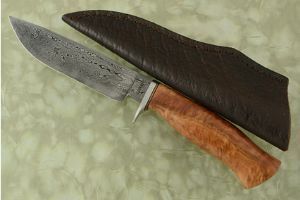 This involves him flying to a site, spending eight days there touring between five different sites, and then flying home for six days of downtime – five days of which are usually spent knifemaking. 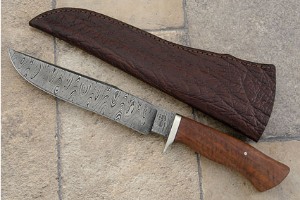 Bruce’s favorite knives to make are damascus bladed bowies, fighters and slipjoints, but he also makes hunters and skinners, fillet and chef knives. 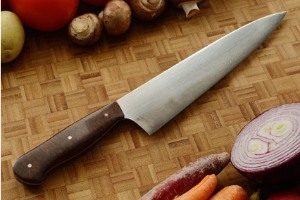 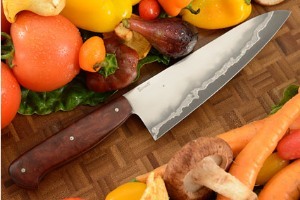 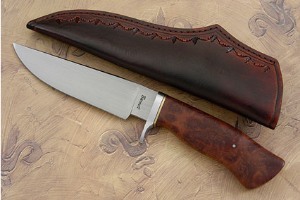 The majority of Bruce’s knives are forged, except for fillet knives and some folders. 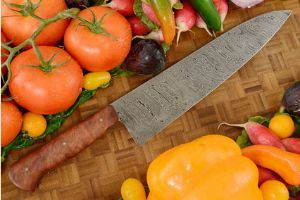 The thing he enjoys most about making knives is the evolution of a collection of raw materials - pieces of steel, some handle material - into a functional piece of art, a handmade knife. 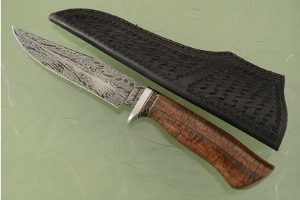 The materials he favors are 1084, W2, 52100, 5160, 1084 & 15N20 damascus for blades, and Australian hardwoods, stag and mammoth ivory for handles. 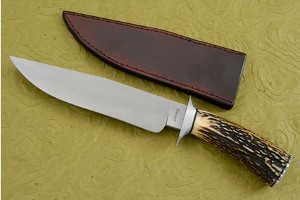 Bruce makes all his own sheaths. 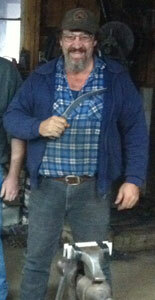 Bruce has his own Evenheat heat treating oven and does 90% of his own heat treatment. 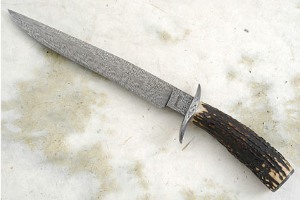 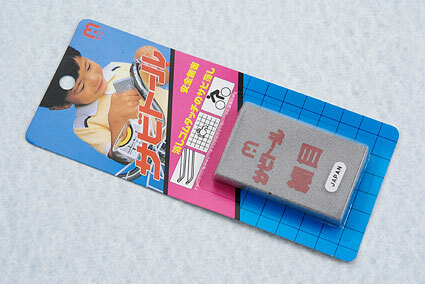 He edge quenches a lot of his field knives, uses clay on W2, and quenches all his blades in a particular blend of oils. 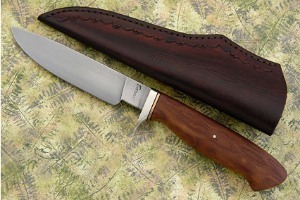 I was very pleased when Idaho Mastersmith Bill Burke introduced me to Bruce Barnett. 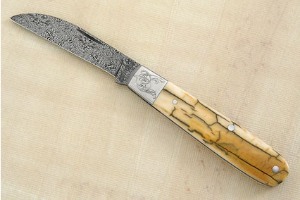 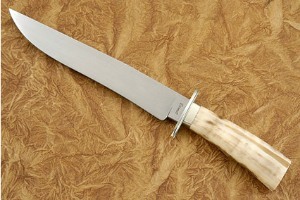 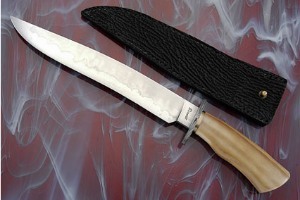 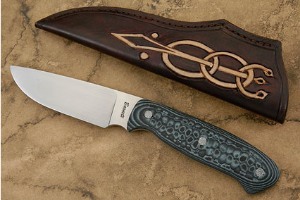 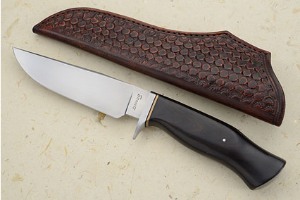 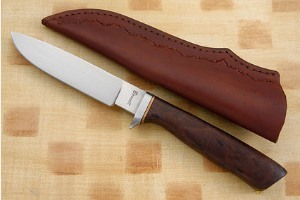 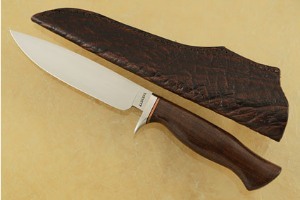 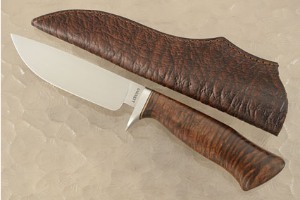 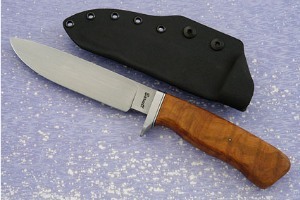 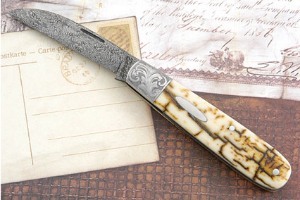 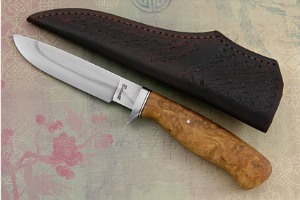 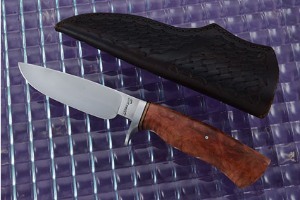 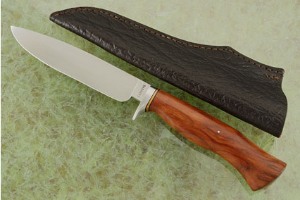 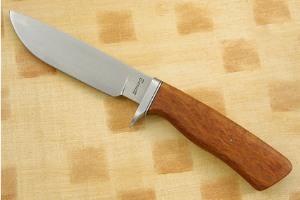 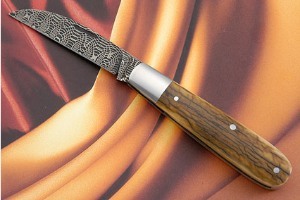 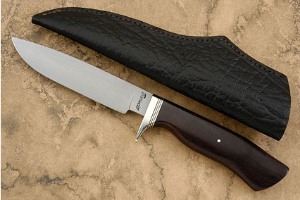 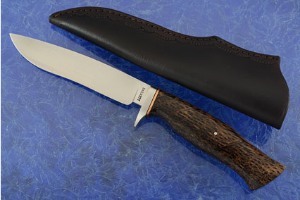 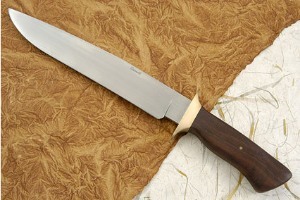 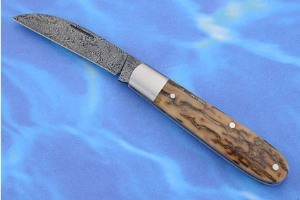 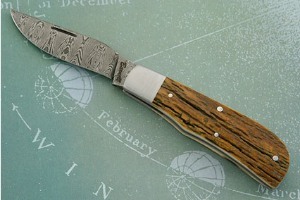 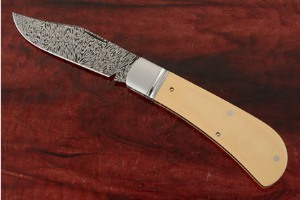 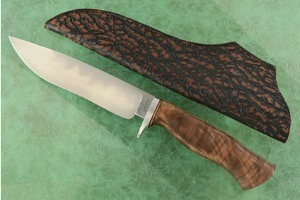 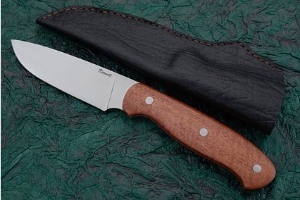 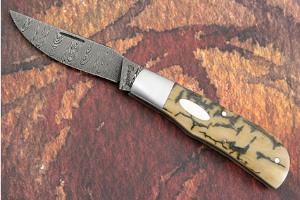 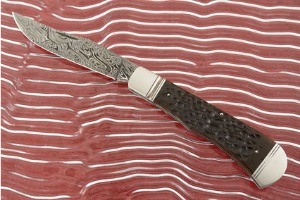 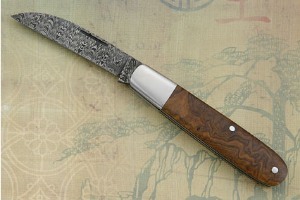 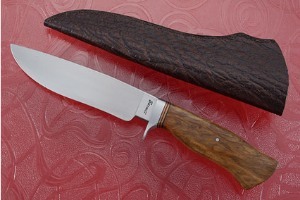 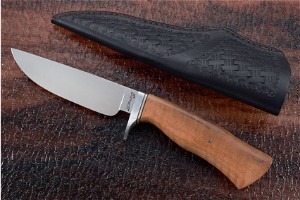 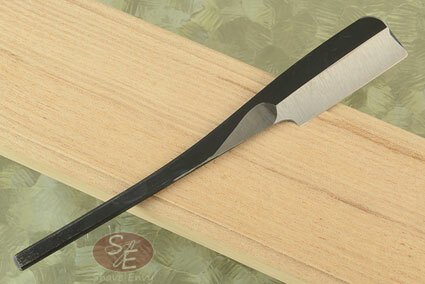 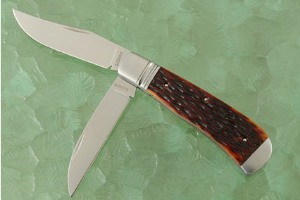 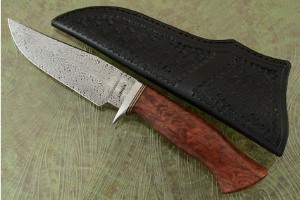 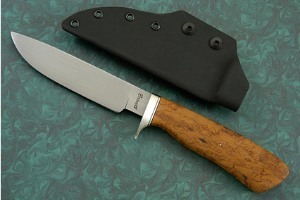 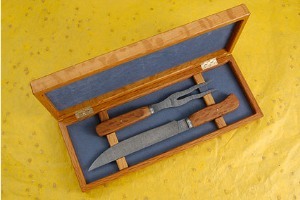 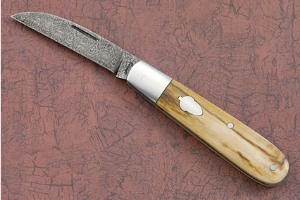 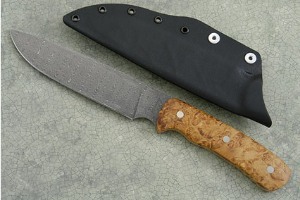 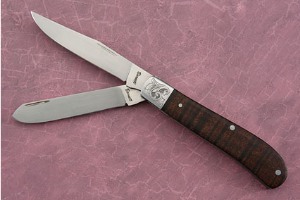 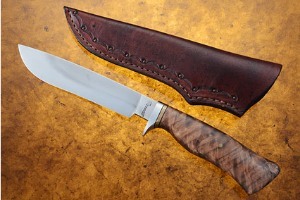 For several weeks, Bill had brought up this Australian visiting knifemaker as a potential new maker for BladeGallery. 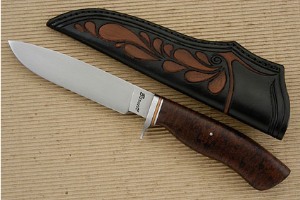 When I saw Bruce's attention to detail, skill, and artistic eye, I immediately thanked Bill. 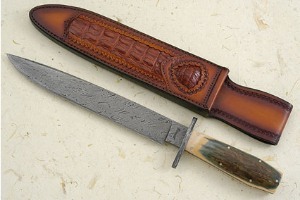 It was with great pleasure that I watched Bruce complete the performance test on his way to becoming a journeyman smith. 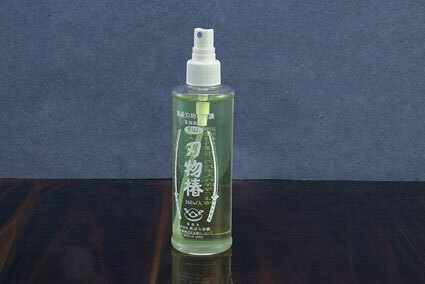 0.296875 0.1875 296.875 187.5 Products Display completed. 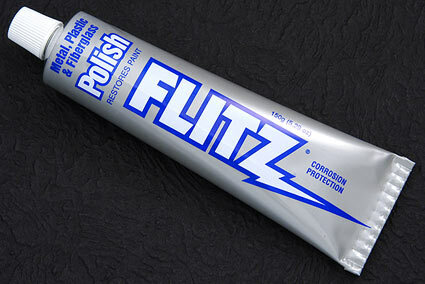 0.296875 0 296.875 0 Trailer Started.